This class is a hands-on approach exposing the students to different drawing techniques. Learn to use gesture, contour, volume studies, simplified shapes, light/dark pattern, general proportions to recreate and describe the model. 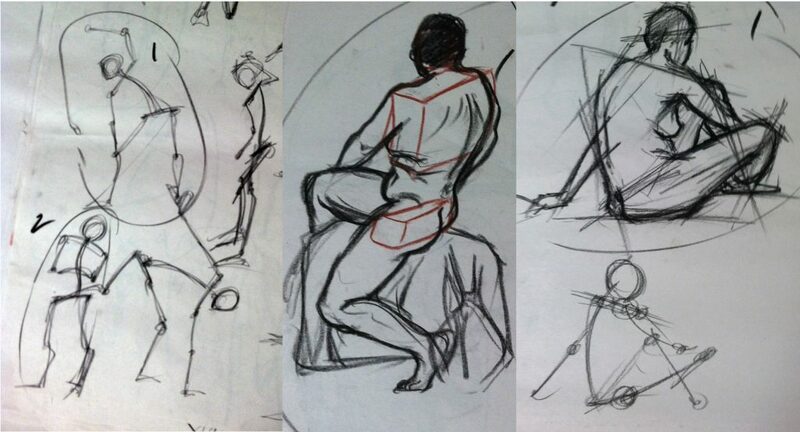 Advanced students who have been taking figure drawing as an ongoing class may work on individual aspects of figure drawing and I will provide comment, instruction, or suggestions as requested.